As writer Jack London said, “You can’t wait for inspiration. You have to go after it with a club.” There are plenty of sources who can help you, as long as you proactively seek out ideas. Here are some of the places I go to in search of ideas for blog topics. Note, I’ve found these tips to work well for my busines-to-business blogs, but you can apply the same techniques to your business-to-consumer or other types of blogs. Try all of these channels and I think you’ll find that they’re great sources for ideas. Just be sure to verify the content and assumptions you find on any of them for credibility before you get too invested in writing about them. I’ve always been impressed by how many ideas a company’s employees have to share. They’re a gold mine, and if you take the time to search them out, your efforts will pay off in spades. Begin by asking for 15 minutes with your product managers, sales team, customer service team, and any others who have been involved with the development and growth of your company. These people all have good insights and can help you very quickly narrow down the list of topics. I did a quick interview with one of the senior salespeople who explained which software products were the biggest sellers and why. They also explained their customers’ buyer profile and what problems they were solving with our solutions. I interviewed another member of the sales team, who focused on the hardware, to understand how it fit into the company’s sales strategy, and what value it delivered to the customers. I spoke with the founder of the company, who explained the company’s vision and how it differentiated itself by selling both software and hardware as a single-source vendor. He also shared much of “a day in the life” of the company’s core customers. These interviews took no more than 30 minutes each. During the interviews, I asked, “What do you think our buyers and customers would be most interested in hearing about?” By the time I was done, I had a solid list of blog topics and sources to follow up with. Good sources can also be found outside the company. Ask your co-workers to introduce you to peers. Many times, they can come up with names of other industry peers who may be good sources. I also ask which professional organizations they belong to and if they’ve met other people at their meetings who may want to contribute to a blog. You can get to the hot topics quickly by contacting the directors of your company’s industry associations. These people can often point you in the direction of experts who’d be interested in being interviewed for a blog, and also make an introduction for you. These experts are usually willing to share their knowledge because it’s a win-win. It’s as much in their own professional interest to network with you to build their own “brand” as well as help you out. Magazine editors can also be helpful. They’re pretty responsive when I query them for ideas, although I make sure to prep by looking at their editorial calendar before I contact them. You’ll find there are those who you’ll build a natural rapport with, especially if you offer to help them by providing good non-promotional content such as educational articles or case studies from time to time. It’s a good idea to stay in touch with them on an ongoing basis. They can help you keep a pulse on what’s trending among readers. Customers are a great source of blog ideas and they can be great to work with. They have a way of getting down to the heart of the matter in a very short time because they’re very busy people. When I want to talk to customers, I usually work through a salesperson or someone in customer service who knows them well and can make an introduction for me. 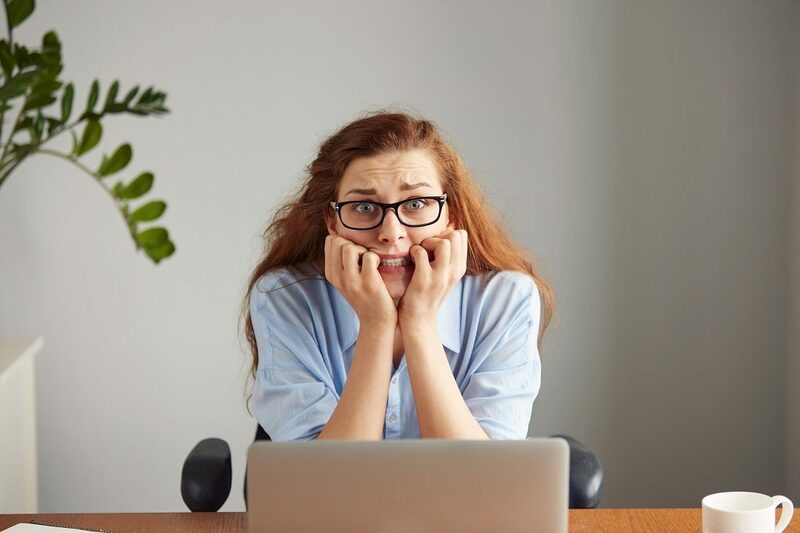 When we chat, I ask them about their company and job, but I also ask broad questions such as, “What issues in your industry are keeping you up at night? What are the biggest trends affecting your company (or industry)?” What follows is almost always quite illuminating. So many people put so much time and effort into their work and their company that they’re delighted when someone shows a genuine interest. Think of yourself as a detective of sorts. At first, you may find that you’re getting a smattering of suggestions that cover a wide range of topics, but just keep jotting them down. After a few conversations, you’ll start to see some topics emerge more frequently than others. You’ll probably also get some ideas for emerging topics that haven’t yet been covered well. Once you’re off and running, keep adding to the list of the suggestions you receive. When you use someone’s suggestion, be sure to let them know. It’s a sure way to build a bridge for future ideas to come your way. 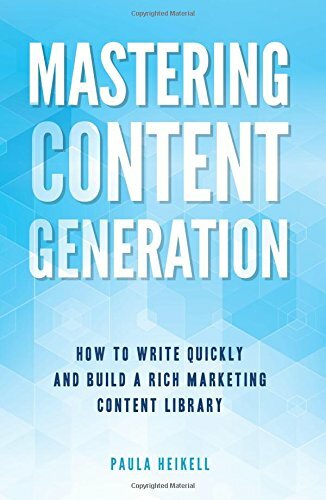 Check out Paula’s new book: Mastering Content Generation LET’S GO!